STEM, which stands for science, technology, engineering and math, is an integrated approach with hands-on, problem-based learning. 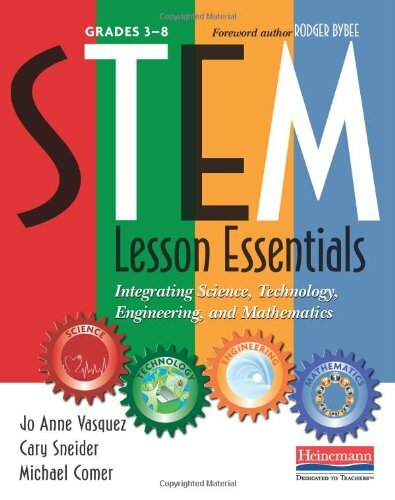 These STEM books will help you teach your class or your children at home. The STEM fields are a huge focus for our local schools and across the U.S. and we just love doing different STEM experiments and activities at home. Enjoy these STEM books with your own kids. In addition, I’ve teamed up with some fellow bloggers to offer you homeschool and in-class STEM Unit Study ideas. 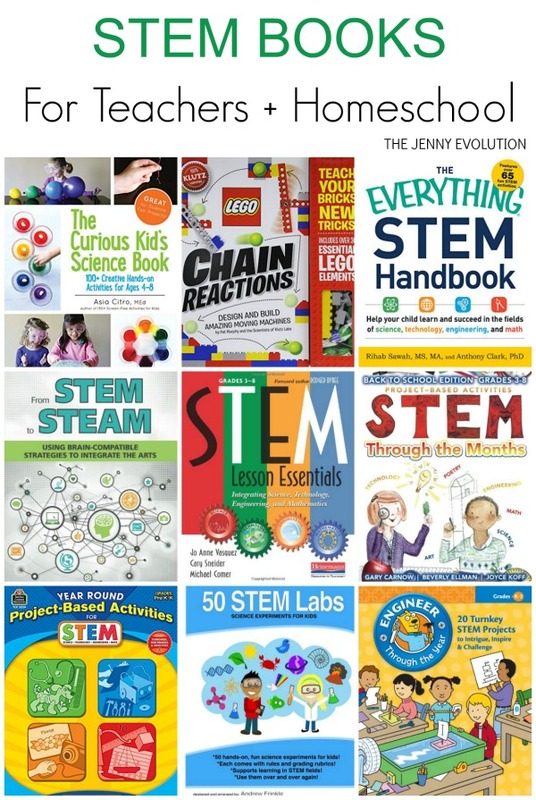 You can find these STEM books at your local library or purchase through the affiliate links provided for your convenience. 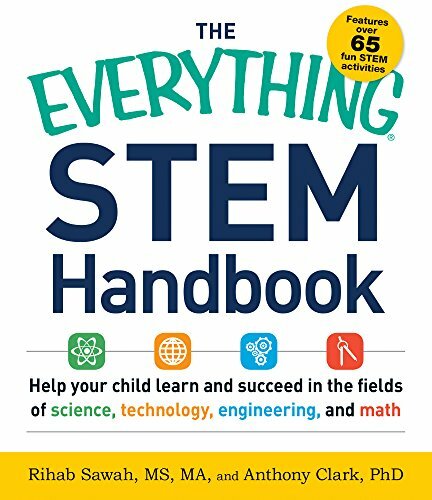 The Everything STEM Handbook: Projects and experiments to inspire and challenge your kids! The STEM fields (science, technology, engineering, and math) are top education priorities in the United States–and they are growing fields with a high demand for jobs. If you want to make sure your children are prepared for the future in these fields, here’s how you can help: Make it fun! Expose them to hands-on, real-world, and fun activities so they’ll become engaged, motivated, and successful students later on. With easy-to-understand examples, problem-solving tips, and hands-on projects your family can create together, this guide gives you the tools you need to help your kids excel and foster a lifetime love of learning. 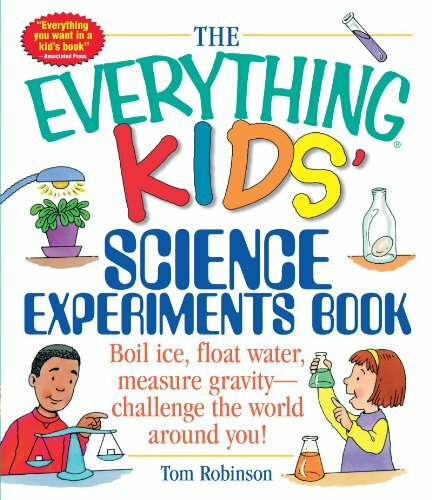 The Everything Kids’ Science Experiments Book: With The Everything Kids’ Science Experiments Book, all you need to do is gather a few household items and you can recreate dozens of mind-blowing, kid-tested science experiments. High school science teacher Tom Robinson shows you how to expand your scientific horizons–from biology to chemistry to physics to outer space. You won’t want to wait for a rainy day or your school’s science fair to test these cool experiments for yourself! 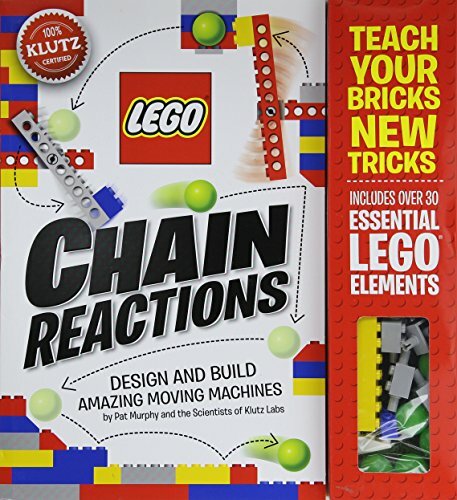 Klutz LEGO Chain Reactions Craft Kit: LEGO Chain Reactions is packed full of ideas, instructions, and inspiration for 10 LEGO machines that spin, swing, pivot, roll, lift, and drop. Each machine alone is awesome, but put them together and you get incredible chain reactions. Then, combine the machines in any order you like to create your own chain reactions. LEGO’s team of experts worked with educators and 11-year-olds to invent the machines, then wrote a book that teaches the skills (and some of the physics behind the fun) kids need to create their own amazing chain reaction machines. 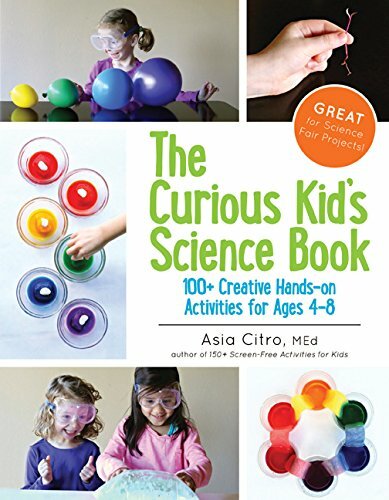 The Curious Kid’s Science Book: 100+ Creative Hands-On Activities for Ages 4-8: How would your child find the answers to these questions? In The Curious Kid’s Science Book, your child will learn to design his or her own science investigations to determine the answers! Children will learn to ask their own scientific questions, discover value in failed experiments, and — most importantly — have a blast with science. The 100+ hands-on activities in the book use household items to playfully teach important science, technology, engineering, and math skills. Each creative activity includes age-appropriate explanations and (when possible) real life applications of the concepts covered. Adding science to your at-home schedule will make a positive impact on your child’s learning. Just one experiment a week will help build children’s confidence and excitement about the sciences, boost success in the classroom, and give them the tools to design and execute their own science fair projects. 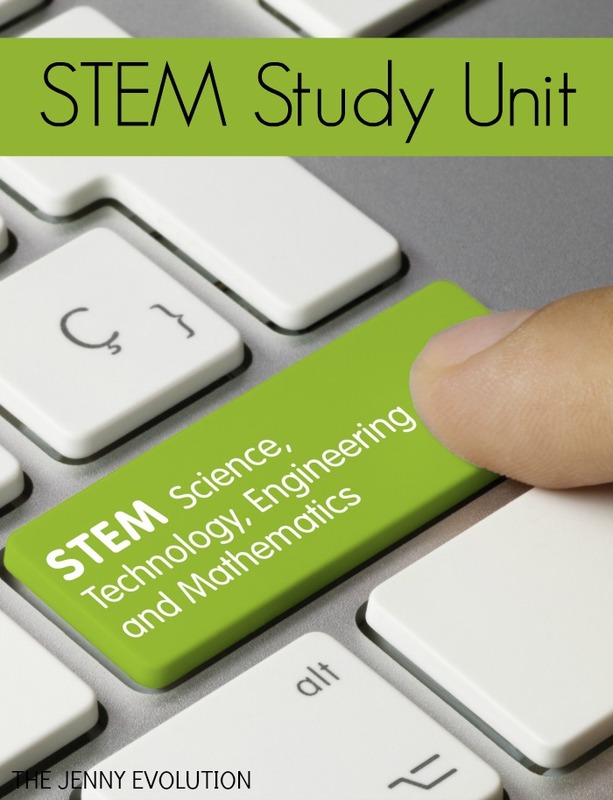 STEM Lesson Essentials, Grades 3-8: Integrating Science, Technology, Engineering, and Mathematics: Want to know how to implement authentic STEM teaching and learning into your classroom? STEM Lesson Essentials provides all the tools and strategies you’ll need to design integrated, interdisciplinary STEM lessons and units that are relevant and exciting to your students. With clear definitions of both STEM and STEM literacy, the authors argue that STEM in itself is not a curriculum, but rather a way of organizing and delivering instruction by weaving the four disciplines together in intentional ways. Rather than adding two new subjects to the curriculum, the engineering and technology practices can instead be blended into existing math and science lessons in ways that engage students and help them master 21st century skills. 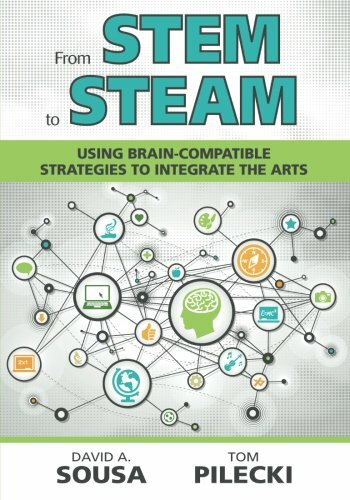 From STEM to STEAM: Using Brain-Compatible Strategies to Integrate the Arts: A is for arts—and for the advantage students gain when you integrate arts into STEM instruction. As research in neuroscience shows, arts activities enhance creativity, problem solving, memory systems, and analytical skills—all critical for achieving STEM success. Now best-selling author David Sousa teams up with veteran arts educator Tom Pilecki to bring you: 1. Teacher-tested techniques for fitting the arts into STEM classroom, 2. Sample lesson plans across K-12, 3. A worksheet template for designing your own integrated lessons and 4. Tips for managing time and collaborating. 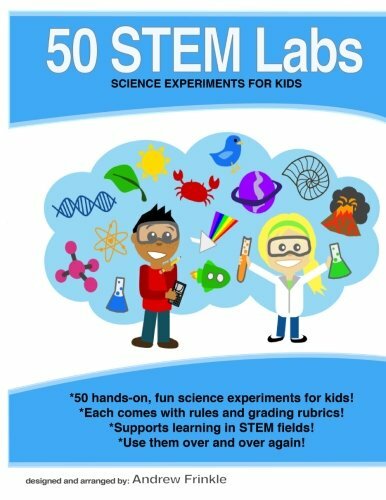 50 Stem Labs – Science Experiments for Kids (Volume 1): This is a collection of 50 STEM (Science, Technology, Engineering, & Mathematics) science experiments for kids. Recommended for grades 3 and up. Each one has a snappy title, a brief description of the task required, the rules, and grading rubrics. These are very adjustable for your classroom, home, or homeschool needs. They support learning in these technical fields in a fun, hands-on, and sometimes competitive way. Learn by doing, measuring, and designing, and then reflect upon it. Labs are tagged with categories so you can search for other similar labs. Types of labs included are: paper airplanes, bridge building, roller coasters, weight lifting projects, cars, crash tests, egg tests, and many, many more! 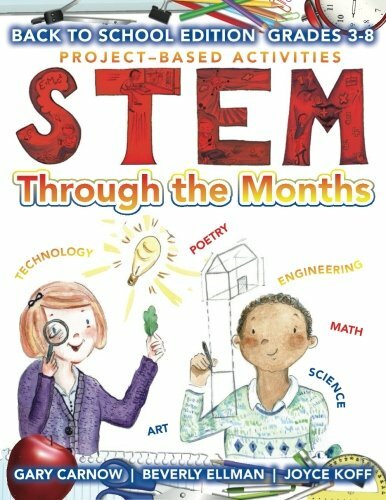 STEM Through the Months – Back to School Edition: for Budding Scientists, Engineers, Mathematicians, Makers and Poets: Now that many schools around the country have moved their start date to before Labor Day, this sampler concentrates on August days. The projects in this sampler also work for schools that start in September, one of which celebrates National Back-To-School Month. Designed for teachers and students, these activities will help you make and create wonderful classroom experiences. Using monthly themed events as a springboard and the maker movement for inspiration, students will build cross-curricular connections as they explore STEM – Science, Technology, Math and Engineering. Primarily aimed for students in grades three through grade eight, these engaging and innovative lessons and projects are easily adopted and adapted for learners of all ages. 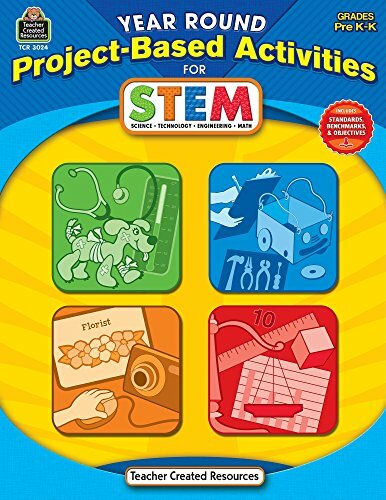 Year Round Project-Based Activities for STEM PreK-K: Wondering how to incorporate science, technology, engineering, and math PLUS collaboration, critical thinking, problem solving, and digital literacy into the PreK-K curriculum? You can do it with project-based learning units and scaffolded activities through which young students design, create and use learning/play centers. The book presents 8 units, each broken down into 5 phases with specific guidelines, options for adjustments, and suggestions for parent support. This “learning by doing” approach is fun, and it allows learning to come naturally as children who are bubbling with different abilities, backgrounds, and ideas work together. 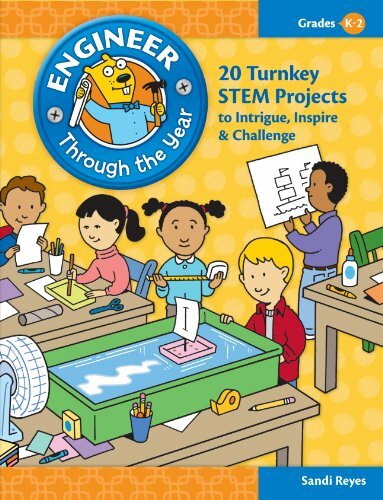 Engineer Through the Year: 20 Turnkey STEM Projects to Intrigue, Inspire & Challenge (Grades K-2): Can students as young as kindergarten through second grade really be engineers? You bet! Present your class with the exciting challenges in this book, all built to fold right into your current curriculum and tie to your themes and your calendar. Introduce students to Sandi’s simple five-step engineering design process. Then, as you guide them with simple questions, watch your budding engineers delight in designing their own unique drums and sailboats, kites and umbrellas, and so much more. Like these STEM books? Find even more engaging book lists for kids with more than 100 book-themed reading lists! In addition to offering recommendations for STEM books, I’ve teamed up with some fellow bloggers to offer you homeschool and in-class resources to teach kids about science, technology, engineering and math! These unit study resources may contain affiliate links. * Differentiate according to your students needs With Engineer Through the Year, students build engineering skills all year long. And they learn to think like engineers for the rest of their lives. Find more FREE Study Unit Resources on Mommy Evolution! A great collection of books! We have several of them, but I am really wanting that Lego one. I know the kids would love it, too! Forget the kids…. I WANT the lego one. Ha! do you have all these books? Is there a fair amount of overlap or are they quite different?